A brick oven has a baking chamber made of fireproof brick built on a slab of concrete. The purpose of the oven is to trap radiant heat from a fire. 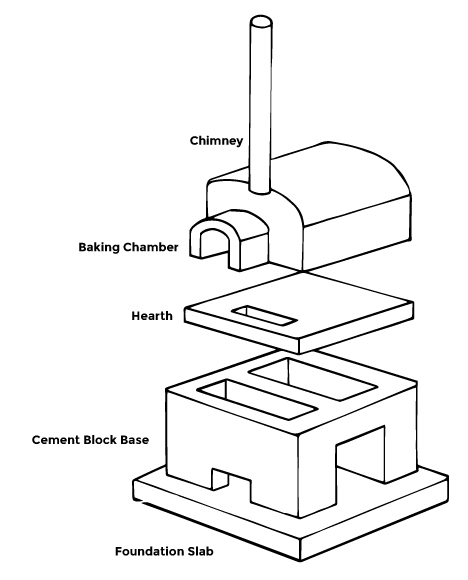 Fires are built within the baking chamber and smoke is vented through a chimney on the top. Once the baking chamber meets the required temperature the baking process can begin. 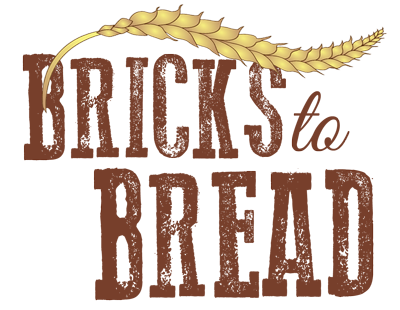 Although primarily used for breads, the oven can also be used for baking meals and desserts. Our brick ovens are built for a family in need that shows an aptitude to be able to manage, maintain, and use it properly. Rural Costa Rican communities rarely have access to fresh baked goods. Breads from a brick oven are healthier (and tastier!) than aged, over-processed bread. These ovens not only provide needed resources; they also give families the opportunity to bake and sell their goods as a means to support their families. Using wooden frames we pour a concrete slab for the oven to sit on off the ground. The base of the oven is built on the cerement slab with cinder block and concrete. We pour another cement slab on top of the base to serve as the platform on which the baking chamber, the heart of the oven, sits. This is the most exciting part of the build. The iconic archway, the baking chamber, and the chimney are assembled using fire resistant brick. We finish the outside of the oven giving it the classic brick oven look which also serves ensure the oven lasts for generations to come. How much does a brick oven cost? A complete oven build, including a protective shelter over the oven, baking supplies, a prepping and packaging location, and some funds for business development and training, is roughly $11,000. Includes oven materials, gazebo materials, tools, thermostats, door, transportation and delivery fees, labor, etc. Mixer, scrapers, peels, containers, baskets, scales, baking sheets, initial baking supplies, etc. Construction and painting materials, rock, sand, transportation and delivery fees, labor, etc. Building, electrical and plumbing materials, refrigerator, sink, prep stations, cooking rack stations, transportation and delivery fees, labor, etc. Permits, certificates, license fees, testing fees, computer, internet, professional development, meals, lodging and transportation. How is a family selected? 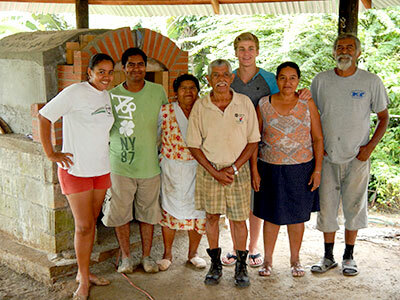 With the help of contacts at Costa Rican service organizations Bricks to Bread identifies a local family, who not only has the interest and desire to run their own business, but also has the drive to be successful. Community ovens often go unattended after the novelty has worn off and fall into disrepair. Helping a family build and begin their business ensures the oven will be used for the purpose intended; providing a family with a sustainable income and ensuring the whole community will continue to benefit from it.